Ten-Minute Methodology: “Reasonably Exhaustive”—How Do We Know We’re There? There comes a time when we have to stop researching. Sometimes it’s when we feel we’ve answered our research question. Sometimes we’re unsure, fearing we missed something. We can evaluate our research to see if it’s reasonably exhaustive by asking questions about its breadth and strength. 1. Do the research results answer our question? Have we used them to make a convincing case? Hmm. How do we know, aside from the big names in the field, who’s a “competent genealogist”? How do we know what sources they would examine to answer our research question? This seems like a very subjective measure. It helps to go back to the last post and look at it with the mindset that competent genealogists wrote the standards. That’s better. Then we can see the lists of factors to consider when selecting our sources and use them as our guide. 3. Does the research cover a wide variety of sources and does it “replace, where possible, relevant authored narratives, derivative records, and information that is secondary or undetermined”? We have to dig deeper and find out where those derivative sources got their facts. We can’t just trust someone who collected and published names a century ago. 4. Have we tested our collected data by analysis and correlation to establish its accuracy and consistency? Put another way, do “at least two sources of independent information items agree directly or indirectly on a research question’s answer”? 5. Does the research provide “at least some primary information and direct, indirect, or negative evidence from at least one original record”? This is the really big question that urges us to seek out the primary information from original sources beyond where the internet can take us. 6. Have all conflicts been resolved? How well? 7. What is the risk of new evidence coming to light that will overturn this conclusion? What? There’s more research to do? The definition of “reasonably exhaustive research” in Genealogy Standards informs most of these questions.  See Genealogy Standards (Nashville, Tenn.: Ancestry.com, 2014), Glossary, 74–75. The criteria are treated more fully in Thomas W. Jones, Mastering Genealogical Proof (Arlington, Va.: National Genealogical Society, 2013). See especially Chapter 3, “GPS Element 1: Thorough Research,” 23–29. Also Thomas W. Jones, “When Enough Is Enough: How Much Searching is ‘Reasonably Exhaustive’?” Association of Professional Genealogists Quarterly 25 (March 2010): 25–33. The author thanks Alison Hare, CG, for invaluable input. Genealogy Standards (Nashville, Tenn.: Ancestry.com, 2014), 74. 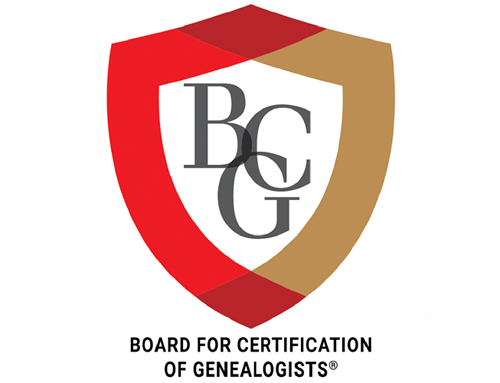 CG, Certified Genealogist, CGL, and Certified Genealogical Lecturer, are service marks of the Board for Certification of Genealogists, used under license by Board-certified genealogists after periodic competency evaluation, and the board name is registered in the US Patent & Trademark Office. Can a Genetic Relationship Be Proved by DNA Alone?